What is self-knowledge? 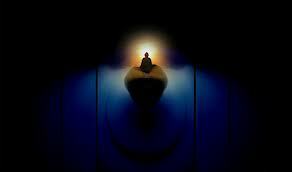 One may initially that self-knowledge is knowledge which one has about or in regard to oneself. Knowledge is, ordinarily, a three element process that consists of the object of knowledge i.e. the known, the mental act of knowing and the subject i.e. the knower. The object of knowledge is, what we know. The object itself is, ordinarily, independent of our mind; it existed out there in the world. The mental act of knowing that relates some object to the knower or the subject and it is the knower who comes to know that object. What is the nature or status of the knower in the process is an important question of philosophy. This has been one of the central questions dealing with which philosophy acquires its unique identity. It is obvious that in the act of knowing, a subject or knower is indeed. After all it is the subject who knows. Thus the presence of a subject is very much required in knowledge. How knowledge of self (or self-knowledge) be possible? Is it possible at all to know the subject (in the sense of an object of knowledge) ? The German Philosopher Immanuel Kant holds that knowledge of self is not possible. It is to be noted that denial of the knowledge of the subject is not at all the denial of its existence. It is necessary to assume the existence of the subject to explain knowledge but that is a “necessary assumption” ; that is not the knowledge of the subject. What does self-knowledge, then, mean? Not only in India but even in the ancient Greek Philosophy it has preached that one ought to know oneself. “Know Thyself” has been the central issue to search in philosophy. It, therefore, becomes very important to understand what self-knowledge is (or could be). Human being is a social animal and a person gets his individual and social identity through his social upbringing and education. A person is recognized by others only by his social identity. Ordinarily people remain completely involved (or lost) in these various roles and accept their social identity unquestionable. In responding to various situations and persons, a person in his various roles forms a self-image and takes it as his personal identity. One’s self-image is dear to everyone and everyone wants to protect it at all costs although seldom one reflects on it. Hardly ever a person reflects on the fact that his social identity is a recognition given by him by the society and his self-image also is an indirect product of the same and he is not merely complex of these social roles. To question one’s socially constituted identity and one’s self image is the beginning of knowing oneself as an immortal soul, a center of pure consciousness, or one can realize a complete emptiness within. This quest of self-knowledge may eventually result into various theories of self but the possibility and relevance of reflecting on one’s social identity makes it clear that one’s self is not merely one’s social identity’ it is something beyond that. Self-Knowledge is an at attempt to search for one’s identity in contrast to one’s biological features and socially imposed roles. It is also important to see in this regard that social background serves as an essential backdrop against which self-knowledge emerges as a positive knowledge and without this the actual possibility of self-knowledge would be lost. However, this does not mean that individual identity achieved in self-knowledge is itself a sort of social identity. Notes were taken from H.P. Sah, “ Problems of Philosophy”, Philosophy (BA Ist), USOL, 2009-2010, pp. 06-14. Human beings are endowed with the faculty of reasoning that enables them to think and draw logical conclusions. This increases human knowledge beyond the small limit of perceptual knowledge. Scientific knowledge is gained by the exercise of reason. Reason has brought tremendous progress in scientific knowledge and technology. But this progress raised the question of rationality of science itself. Thus, rationality has become a debatable philosophical issue now a day. Before entering in the debate it is necessary to understand this issue clearly. Scientists postulate theories to explain some phenomena occurring before them in their experiments and observations. It is found that the same phenomenon could be explained by some other theory postulated by some other scientist (or group of scientists). Thus theories come in competition in course of explaining a phenomenon. Then naturally a question arises about the choice of the theory. Which one of the competing theories should be accepted as a better theory than the other? Does science has a rational criterion to decide it or is it a matter of the collective choice of the community of the scientists? 20th century Philosophers of Science were divided on this issue. Some thinkers, like Sir Karl Popper, were of the view that science has within itself criterion of progress whereas others like Thomas Kuhn contend that it is a matter of choice of the community of scientists, and there is not strict scientific formula to make a decision in this regard. Karl Popper, who is supporter of objective rationality of scientific theory choice, argues that in the cases of competing theories that theory is chosen which could predict newer facts and that theory is refuted which fail to do so or predict lesser number of facts. This is the only way to rationally decide which theory is better. Thus the criterion of theory of choice is available within scientific enterprise itself and scientists can’t choose any theory apart from this criterion of progress. Thomas Kuhn tries to show that in cases of theory choice scientists don’t really have any criterion as Popper has indicated because in the light of one really have any criterion as Popper has indicated because in the light of one theory one sort of facts are predicted and in the light of the others. Scientists, according to Kuhn, work and postulate a theory under the influence of a particular paradigm of science and keep predicting facts deduced from that theory. No theory is immediately refuted if some facts don’t accord with that. Scientists keep working with that theory till a new theory makes an occasion of shift in paradigm. A paradigm is the shared belief of the community of the scientists regarding the explanatory power and efficacy of a theory. No new theory can prove its efficacy in advance; it takes long to practically test its predictions and to decide about its explanatory power. Kuhn argues that theory choice can’t be made by any formula as indicated by Popper. It is the acceptance of a new paradigm by the community of scientists without any strict logical ground that bring about a revolutionary change in science. Therefore, Kuhn holds that the rationality of scientific theory choice is dependent on the paradigm that is accepted by the community of the scientists as a matter of shared beliefs and there is no fixed scientific criterion or objective logic of this choice. Earlier it was believed that rationality is one and absolute. Now many thinkers, scientists, historians, and writers contend that rationality is paradigm or system relative. 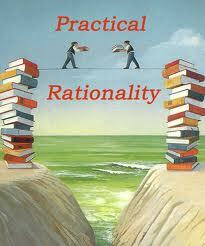 In this light people talk about multiple rationality also, i.e., many types of rationality. It is not possible to decide which view about rationality is correct. In fact this kind of decision is not needed because a close philosophical reflection reveals that both the views of rationality are correct in their respective contexts. It is true that a purely objective general formula for theory choice neither in science nor in any other intellectual endeavor could be presented. Human choice at such a deeper level essentially involves many subjective elements but once this choice is made no subjective elements are permitted to go ahead in that system if that system is to be called a rational system at all. At every turn subjective elements are not and can’t be allowed. Within a system once has to strictly and objectively adhere to certain rules to ensure rationality of the conclusions of that system. Rationality could be accepted to be multiple or many in the sense that different systems don’t adopt the same set of rules for drawing conclusions. However, the recognition that these different sets of rule are necessary to ensure rationality of the conclusions within various systems make it clear that rationality is identifiable beyond the boundaries of different systems, and in this sense it is absolute and purely objective.